Cloud is a place where you can store your data, services and app securely, away from your place of work. It is growing in popularity because it is free of maintenance, the storage capacity is infinite, and access is possible from anywhere and anytime. All you need is internet connectivity and a device. 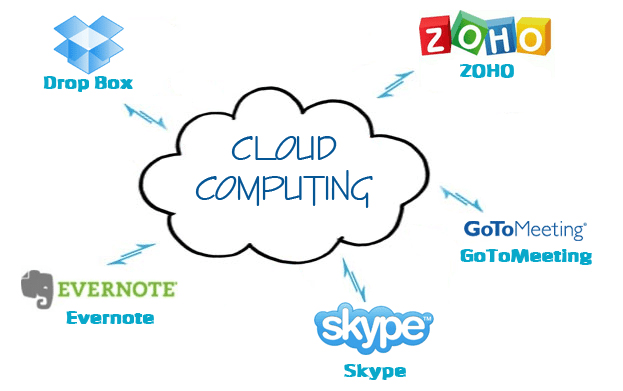 The transformation from desk work to working on the go, cloud computing has proved to be effective. The paradigm shift has affected the sales of desktops and laptops. In 2015, it is estimated that 270 million PCs and laptops have been sold when compared to 2 billion smartphones. Cloud is the best place to run your business software, particularly those than needs round the clock access and even while on the move. Such software can be accessible on any device, anywhere and anytime. Cloud was invented in the 1960s but did not take shape until the 1990s. It was at this time the World Wide Web was invented. Later the Application Service Provider (ASP) came into existence. It was at this time salesforce.com came up with a multi-tenant application designed for the cloud that could be accessed from the web browser through internet connectivity and accessible to a big group of customers at a nominal cost at the same time. Checkput Our Salesforce Training Programs. Cloud computing is the talk of the town, but there are certain aspects to clarify before finalizing on the cloud solutions. It is not an easy decision to make; business considerations have to be taken into account before finalizing the deal. The most important part is which option would suit your business model. First, understand what is cloud computing before venturing into it. Most choose cloud computing to enhance the delivery speed. But there are challenges confronted in this path. Talk to your prospective vendor on how they would enhance the performance related to geographical barriers, access speed and network performance. Test the solutions, especially the performance from varied locations. Outages are not just related to backup and recovery; it is also about the effect on the external and internal SLAs. Running a business with a proper connection will be a great struggle. Cloud computing functions properly only with a reliable connection. With poor connectivity, your files will have a tough time during backup. Let’s be practical; internet connectivity will occasionally be lost. Hence, it is advised to take physical backups for critical data. Another worthwhile option is the fall-safe feature facilitating zero downtime. The cloud feature stands out in the crowd. Before committing, it is advised to test the software. SLAs are known for service failures, therefore, do not take it on the face value. Talk to customers and check some references before signing on the dotted line. Application Programming Interface (API) is another consideration to take into account before opting for cloud services. API accesses your infrastructure performing tasks like de-provisioning and provisioning of servers. API supporting various vendors and providers is easier as migration from one service provider to another is easier. Those APIs supported by a group of vendors and developers are protected by the ecosystem. Some examples of such APIs include VMware cloud services and Amazon Web Services (AWS). Cloud offer automated file sync. The business is evaluated, and the need for automatic syncing is decided. Manual backups are also suggestive especially if you have a bulk of data to be moved across the network. There is nothing wrong in having an alternative method of moving data, just in case the cloud is unavailable temporarily. The productivity can be maintained at high levels with both manual and automated transfer. Security is a major concern in the cloud. Compliance is also another major apprehension. On the cloud data is open for access by more than one party. This makes it vulnerable. Businesses do not want their data to fall into the wrong hands. In case you store it in common software ensure the security features are tight. Limit the access to the cloud by granting access only to important members of the company. Another security concern is that even when the data is deleted, the copies remain. This can be a threat to the business. Talk to the service provider on this issue. Security is vital for any business and so is being compliant with security standards. Service providers offer security white papers and SAS 70 type II audits for better protection.